The move, however, would add further costs to an ongoing $5.3 billion underground expansion of the mine, said Oyu Tolgoi LLC, Mongolia’s largest copper and gold mining company, which is a strategic partnership between the country’s government (34%) and Turquoise Hill (66%), of which Rio Tinto owns 51%. Last week, Rio Tinto said it was working with its partners to find a solution to the power supply issue after the government reinstated a decade-old agreement ordering the miner to source power for Oyu Tolgoi domestically. Last week, Mongolia gave Rio four years to build a local power plant to serve the mine, a plan that could come with a bill as high as $1 billion. The company was told that it had four years to either find a domestic supplier or build a power plant, which could come with a bill as high as $1 billion. Such facility, however, would allow Rio to secure power for the mine from domestic rather than Chinese sources, as stipulated in the investment deal signed nine years ago. Rio has already earmarked $250 million a year for the development of a power station in the landlocked country in its 2019 and 2020 spending plans. 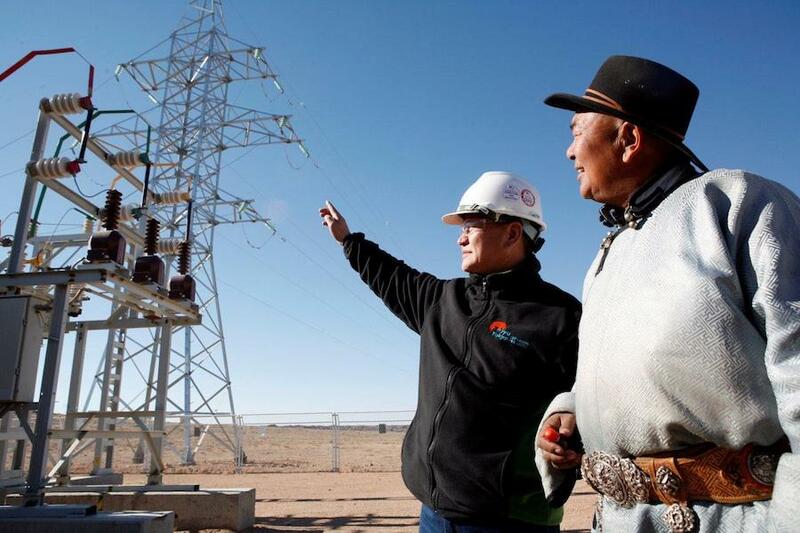 A plan to buy electricity from a plant to be built at the Tavan Tolgoi coalfields, known as TTPP has been rejected, said Oyu Tolgoi LLC in the statement. “TTPP currently lacks a lead investor to develop a viable technical and commercial proposal for Oyu Tolgoi to consider and it is unable to secure financing without a credible lead investor,” it said. “Extensive negotiations and lender due diligence would still be required once those key issues are resolved. TTPP would therefore not be operational within four years,” it added. It has been a rough year so far for Rio Tinto’s operations in Mongolia. First, the country’s government served Oyu Tolgoi with a new bill for $155 million in back taxes — the mine’s second tax dispute since 2014. Turquoise Hill said at the time the charge related to an audit on taxes imposed and paid by the mine operator between 2013 and 2015. It added it’s disputing the assessment. By the end of January, Rio’s chief executive Jean-Sebastien Jacques travelled to Mongolia’s capital city to meet with Prime Minister Ukhnaagiin Khurelsuk about how to build “win-win” partnerships. The visit was followed by a company’s announcement that it was opening a new office in the country, which will focus on exploration and local links. The company is also facing increasing pressure from shareholders about its alleged lack of transparency about pledges to the Mongolian government and escalating costs for the expansion. It has also been questioned about its treatment of minority shareholders at Turquoise Hill. Oyu Tolgoi was discovered in 2001 and Rio gained control of it in 2012. The under execution underground expansion of Oyu Tolgoi is expected to lift production from 125–150kt this year to 560kt at full tilt from 2025, making it the biggest new copper mine to come on stream in several years.